MIBR’s StarSeries S7 run extinguished the last wisps of their post-IEM Katowice momentum. The distant warnings the Brazilians sounded with poor play at the WESG Finals and BLAST São Paulo are now full-blast sirens. A legendary line-up is finding themselves on the wrong side of history. Over the New Year, the Brazilian core of coldzera, FalleN and fer, added TACO and zews from Team Liquid, and felps from INTZ Esports to re-form the SK line-up of 2017 (bar former coach dead). The same 5-man roster under the SK banner two years ago compounded on past Brazilian success to win a number of big international LANs. From lifting the trophy at IEM Sydney against FaZe to winning ESL One Cologne 2017 over Cloud9, SK was, for a few months, the de facto best team in the world. It’s in the shadow of these results and prestige that the current MIBR was formed. And worryingly, is also the one in which they crumble. MIBR is still a relatively ‘new’ team on paper with TACO, felps and zews being signed for a little under four months. But with the history of the line-up, our minds are programmed to expect big performances from them almost immediately. There’s such a dense narrative and hype around MIBR that it’s difficult to unpack their play with honesty. The idea of the 2017 SK line-up reforming and blitzing a currently weak field of elite teams is intoxicating. Fans want consistent vintage big-stage SK/Luminosity-esque performances after such a drought. 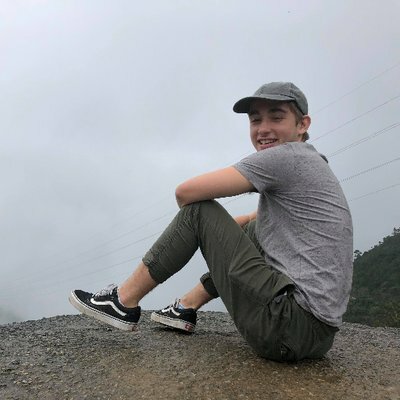 So even in-spite of other aggressive rifling talent like LUCAS1, chelo, or leo_druNky being available, MIBR went for felps. The failures of their international experiments with Stewie2k and tarik is contrasted by a reanimation of their national roots is steeped in sentimentalism. It’s hard to say the move wasn’t done with awareness of the narrative and subsequent expectation it would create in mind. Fortunately, StarSeries S7 had an excellent Swiss bo3 group stage format. The 250k+ LAN in Shanghai gave a platform to teams with real win conditions to shine, and forced sides with more hype than legitimate momentum to face a gauntlet of testing matches. It’s very hard to hide in such a rigorous arena, and as a result even the most romantic notions of MIBR’s play was replaced with a magnified reality. The Brazilians, in this sense, were truly exposed. Leading into StarSeries, MIBR’s red flags were masked by a decent-enough major run. They beat a potentially dangerous NiP in a convincing 2:0, hot Renegades in the Ro8 and took Astralis to the brink on Overpass in the semis before losing the series in a clean sweep. MIBR would then go on to have terrible showings at WESG – where they were upset by Bulgarian side Windigo in the Ro8 – and at the next event, BLAST São Paulo, on home soil, as they failed to win a single game across six best-of-ones. The completely sub-standard BLAST and WESG results were brushed aside. Many professional players complained about the playing conditions at the latter, and the lack of elite teams in attendance made it barely blip on the wider community’s radar. BLAST, with it’s novel format and best-of-one matches, also failed to generate true panic about MIBR’s status as a top team. MIBR were knocked out in 12th-14th place in Shanghai, losing three Bo3’s against Renegades, NRG, and North. In their last two series against NRG and North they failed to win more than ten rounds across four maps. They weren’t just knocked out of the groups, they bombed against teams all at roughly the same level. It wasn’t a case of being upset by a no-name side, losing to a top established team and then barely being edged out by a middle-of-the-pack powerhouse: NRG, Renegades and North all sit in the band of solid to good, but not elite top ten teams. And each, with ease, handled MIBR. 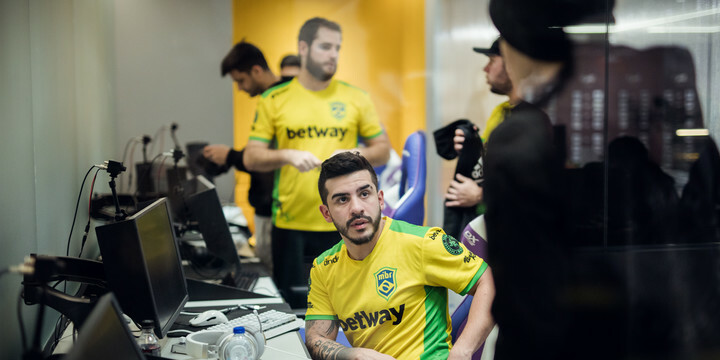 The Brazilians, despite having some of the most recognisable star names in CS:GO history failed to manifest any meaningful firepower. Their IEM Katowice run was fuelled by an individually resolute fer who was able to help unlock coldzera in the late-round, and by space for FalleN’s calling in the mid-round. At StarSeries, this fer was missing, and it showed. With just a middle-of-the-road fer, the pressure was on felps to pick up the aggressive slack. Felps’ erratic CT decision making was punished and made redundant by the experienced, cohesive teamplay of all three opponents. The individual plays and positional mistakes he could get away with on INTZ looked amateurish against the battle-hardened map play of Renegades and NRG on Mirage. At a time when he needed to step up, he was the lowest rated player on the team. Felps’ failure also begins to highlight the broader problem of MIBR: a distinct lack of firepower. On maps like Train and Inferno, it’s clear there’s a sensible structure and rhythm to their map play. FalleN is no dummy. But the individual mechanical play to fuel it is totally lacking. Brehze, Ethan, jks, gratisfaction, valde and aizy all posted far more star impact than any player on MIBR across their respective tournament runs at StarSeries. If MIBR can’t match the likes of these stars, then how can they expect to contest a s1mple, device, or NiKo? The greatness of the old SK lineup lied in the blending of win conditions. They could always play you in the depths of the late-round with a FalleN/Coldzera 2vX, or catch you out early with aggressive entry work and map pressure from felps/fer. Their individuals thrived in their respective roles on the team and created space for each other to close a round. It seems though, in this current iteration of MIBR, this dynamic has gone the opposite way. With no one stepping up individually, each player collapses and fails to manifest impact in their space on the team. NRG, Renegades and North all made it into the playoffs after beating MIBR and are by no means easy teams to beat. But the expectations of this MIBR line-up isn’t to beat good teams, it’s to slaughter great ones. Yet, with such a clear failure to post double-digit rounds against solid opposition, the reality for MIBR seems much darker than it did around Katowice. They need a star to step up, and do so soon if their team dynamic is to function properly.